If you have created some pick tickets, then follow the steps in this page to Print Pick Tickets. 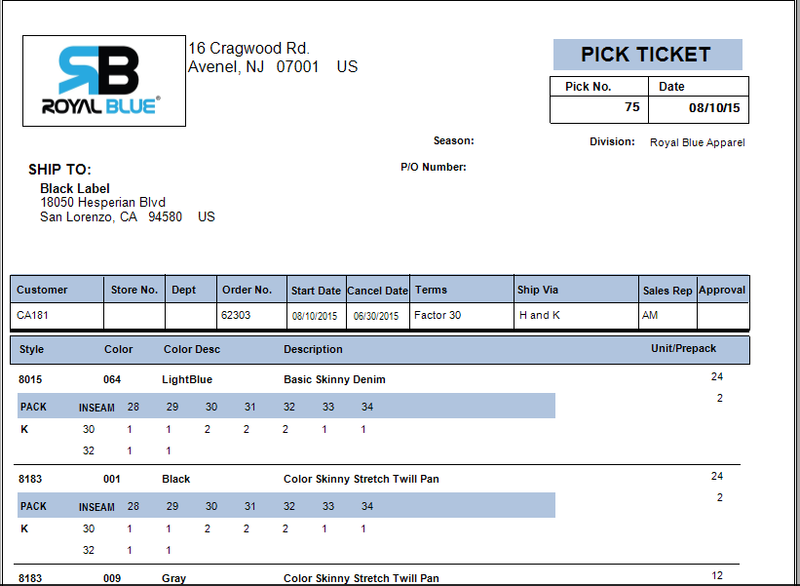 Navigate to the Printing Pick Tickets application. You have to search for the pick tickets you want to print. 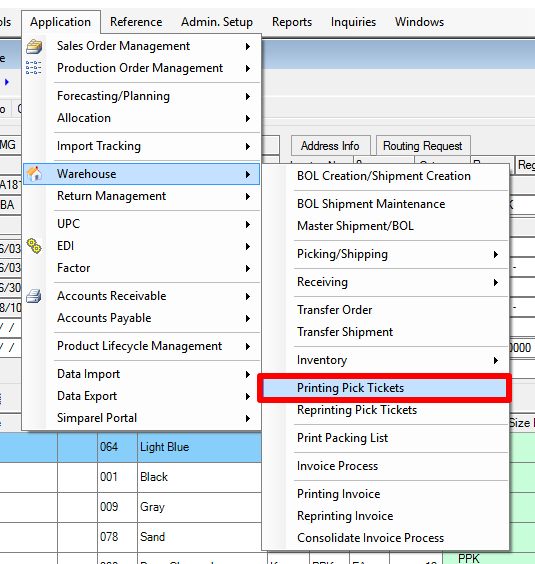 The Printing Pick Tickets window has several criteria you use to search. 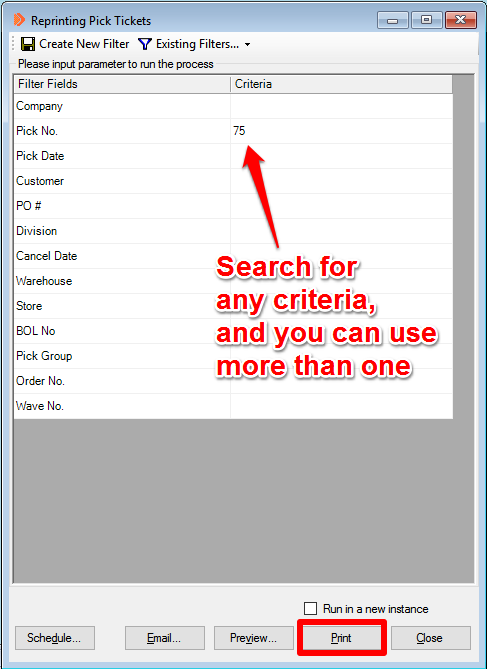 Some common search criteria to use are: Pick Number, Order Number, or Pick Date. You can use more than one criteria to search. This example uses Pick Number and Order Number. After you type in the search criteria, click Print at the bottom of the window. 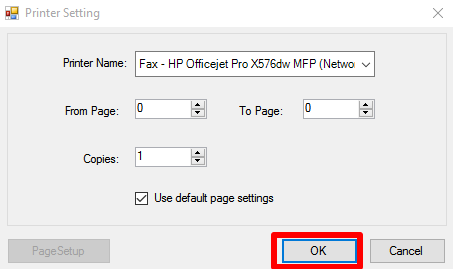 Select the printer you want and click OK.
A system message will appear telling you if the PT was successfully printed. Click OK to proceed. Simparel will not allow you to print out more than one Pick Ticket from this window. 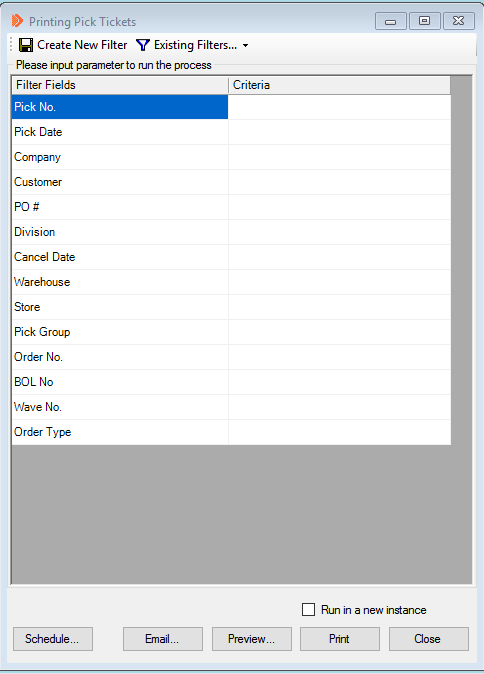 This is to prevent duplicate Pick Tickets so that the warehouse will not pick the same order more than once. 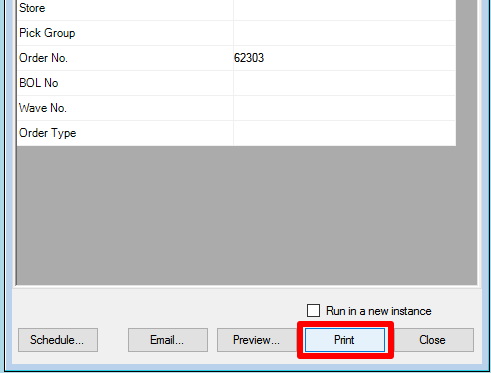 If you try to click Print again in the same window, you will get a message indicating there are no Pick Tickets to print. 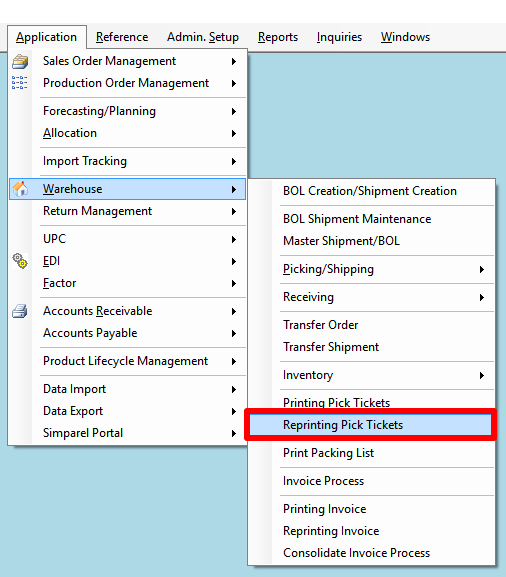 If you have to reprint the Pick Ticket, then you have to open Reprinting Pick Tickets under Warehouse Applications. 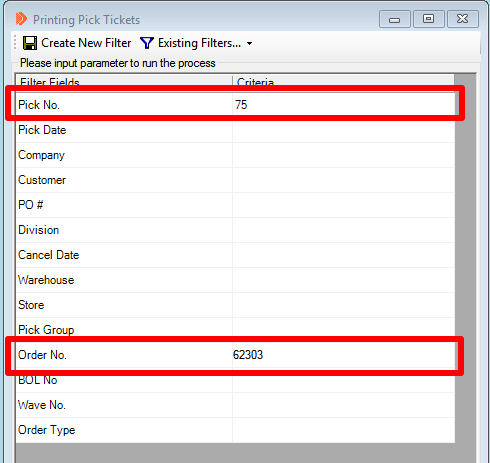 Search for the Pick Tickets you want to print by using any of the search criteria in the Reprinting Pick Ticket window. After typing in the search criteria, click Print.